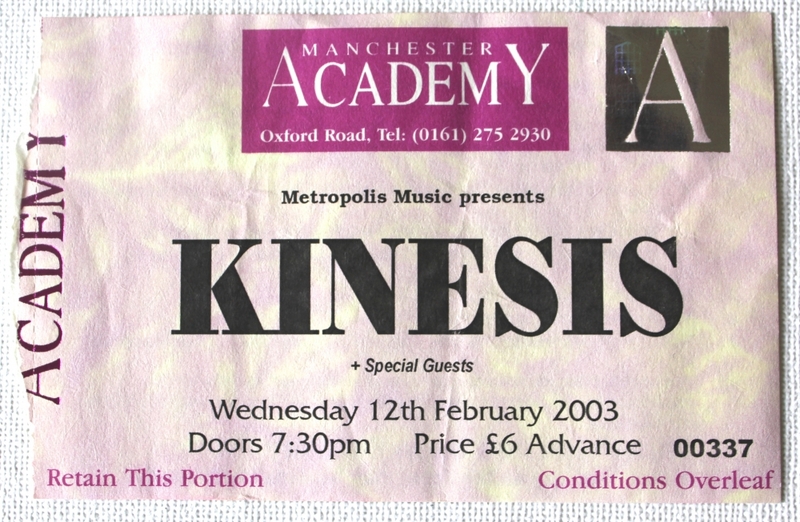 Ticket from Kinesis's gig on 12th February 2003 at the Hop and Grape. I'm a little puzzled as to why I don't have any photographs from this gig because on the same night I took pictures of Reuben and Miss Black America who must have been supporting. I did photograph Kinesis but at a show they played in May of the same year when they supported Hell Is For Heroes at The MDH (Academy 2). I can only imagine that my lack of Kinesis photographs from this particular night must be down to me shamelessly bailing early.